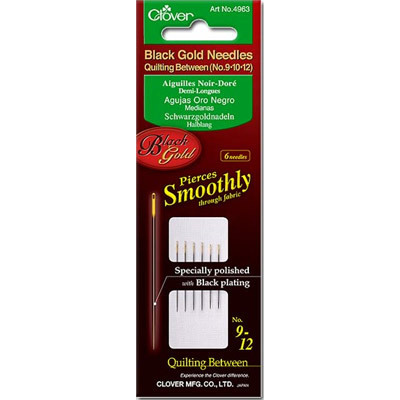 The Cotton Patch supplies just about every notion you need to make patchwork and quilting easier, faster, more accurate and, of course, more enjoyable! 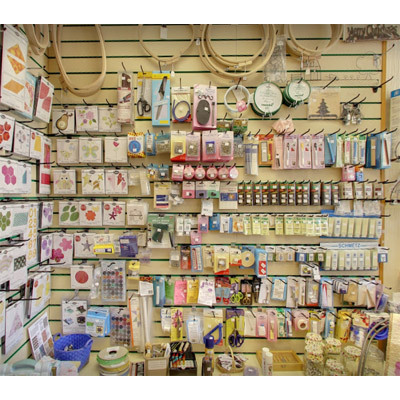 As well as specialised patchwork tools we stock a wide range of general sewing and dressmaking tools and haberdashery equipment. 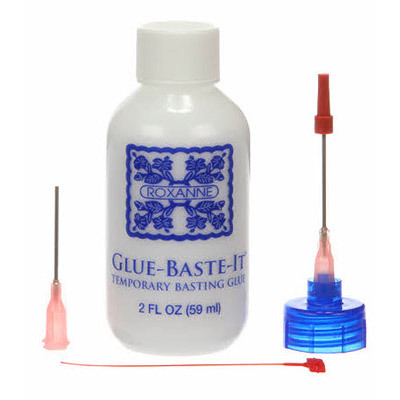 Pins, needles, scissors, tape measures, thimbes marking tools, interfacings and glues are available. Please ask our staff for help in locating any items, we have more products than we can display in the shop. All of our general haberdashery tools and notions are available to order online using our Secure Online Ordering system. We have divided our tools and haberdashery notions into eight categories and examples are shown below. 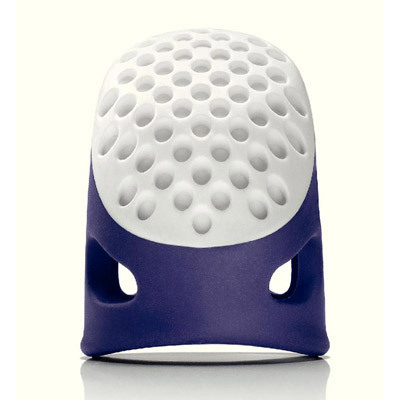 The Prym thimble is an award winning thimble deisgn with soft comfort sides and a dimpled top. Just one of our many thimbles from traditional timbles to specialist designs such as Sashiko thimbles and quilters thimbles. 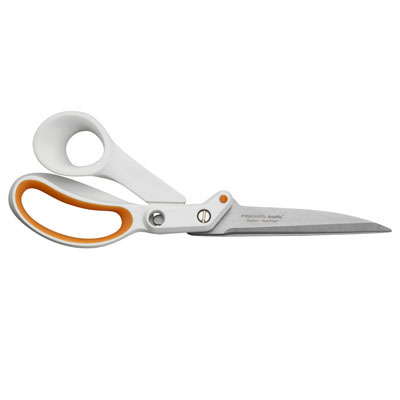 Fiskars Amplify Dressmaking Scissors, the floating blade tang transfers energy to the torsion bar which adjusts the blade to its optimal angle. We have a huge range of scissors raning in size from wadding scissors to fine point embroidery scissors. Quality brands such as Fiskars, Gingher, Clover and Karen Kay Buckley. General haberdashery tools such as seam rippers, sewing tape measures, tracing paper, turners stuffers, awls and more. 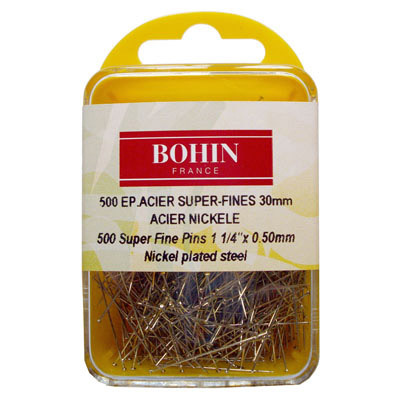 Long pins, glass headed pins, flower headed pins, sequin pins, safety pins, bridal pins, T-pins wonder clips and more. Prym, Hemline, Bohin, Clover and EZ Quilting brands. 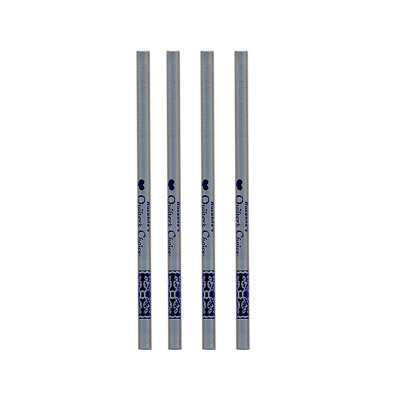 Permanent and temporary fabric marking pens. Water erasable, air erasable, creasers and hand irons. Lots of differnt options available from leading manufacturers. Specialist patchwork and quilting needles and betweens, as well as general hand sewing needles, embroidery, applique, milliners, sashiko, doll making and craft needles. 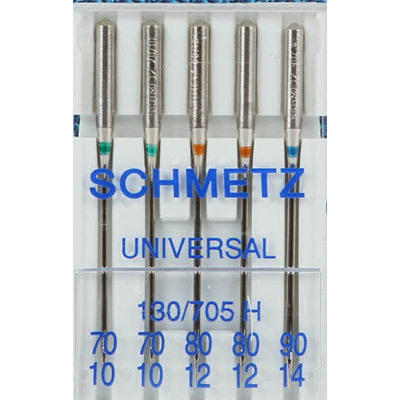 Sewing Machine needles from Schmetz in a wide variety of types. 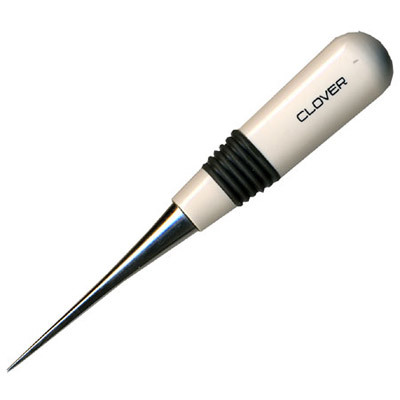 As well as quilting needles, there are microtex, leather, jersey, universal and stretch in a wide range of sizes.